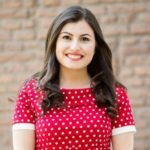 I am a researcher who loves doing (nutritional) health research with older adults while educating others about it. In 2011 I graduated as a nutrition scientist at Wageningen University; in 2016 I defended my PhD thesis here too. I never expected to end up in the world of science, but here I am, sciencing and all! Contrary to what I thought in the past, I *can* combine my desire to work with people with doing research. Especially my type of research, where you investigate a public health problem and perform applied research while trying to dig up the stories behind the numbers. Being directly involved with the target population makes all the effort worthwhile, and trust me, a lot of effort goes into doing research, especially when it’s close to the real-life setting. Applied research is about finding the balance between evidence-based research and real life, a challenge that is always taken for a good reason. For me, that reason is to improve health, well-being, and quality of life. You’re always welcome to contact me about any of these topics! Currently I’m working as a researcher within Research Centre Innovations in Care and as a lecturer within the Bachelor of Nursing, both at Rotterdam University of Applied Sciences.